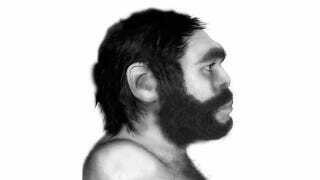 It's already been well established that early humans had Bunga-Bunga parties with their closest semi-human relatives. But scientists are just now discovering what came from those relations—a pathogen-killing immune response that persists to this day. A recent study by the Stanford University School of Medicine has found that, through cross-breeding with Neanderthals—and another recently discovered relative called Denisovans—the modern human genome was imparted with key variants of HLA class I genes, the genes that trigger immune system responses to a variety of pathogens. Specifically, researchers discovered a rare HLA gene variant HLA-B*73 originated from the mixing of modern humans and their ancestors. And, by comparing the genes, researchers proved that that specific allele likely came from cross-breeding with Denisovans. "We are finding frequencies in Asia and Europe that are far greater than whole genome estimates of archaic DNA in modern human genomes, which is 1 to 6 percent," Peter Parham told the journal, Science. In just one class of HLA genes, an estimated 50-, 80- and 95-percent of European, Asian, and Papua New Guinean DNA, respectively, is the result of interbreeding with "archaic humans."